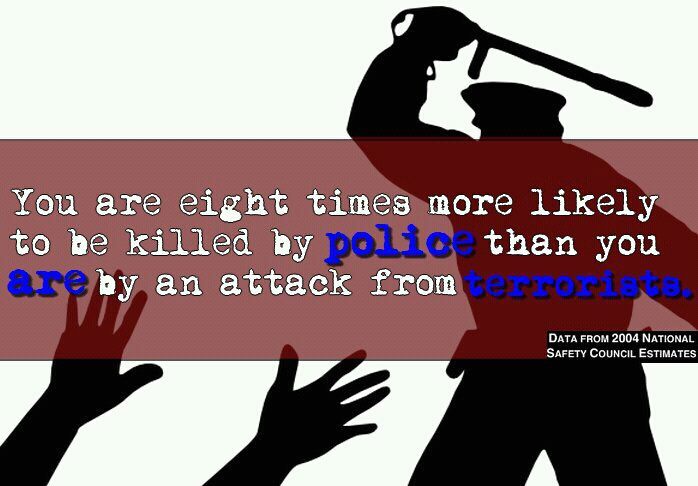 Police: A Greater Threat Than Terrorists? So instead of reforming our criminal justice system, we choose to engage in costly, ceaseless wars. Makes sense. do the stats mention how much more people who are killed by police officers deserve to be, as opposed to people killed by terrorists? Also, if we’re asking “by whose standards”, take your pick of international or domestic law. It’s not quite fair to make a blanket comparison of, say, a would-be-murderer shot in a standoff to a clerk in the North Tower.